The Ridgway RiverFest is excited to announce our main music performers for the 2018 festival on Saturday, June 30: Sugar & the Mint. The six-piece bluegrass band will bring their unique blend of danceable music to our festival stage on the banks of the Uncompahgre River from 3 to 6 p.m.
First place winners of the Band Contest at the 44th Annual Telluride Bluegrass Festival in June 2017, Sugar & the Mint will be returning to the 2018 Bluegrass Festival before appearing at the Ridgway RiverFest. Former winners of the Telluride Band Contest include recording artists the Dixie Chicks and Greensky Bluegrass. The first-placed Sugar & the Mint shared the 2017 main stage with Norah Jones, the Punch Brothers, Sam Bush Band, Hot Rize, and Sarah Jarosz. 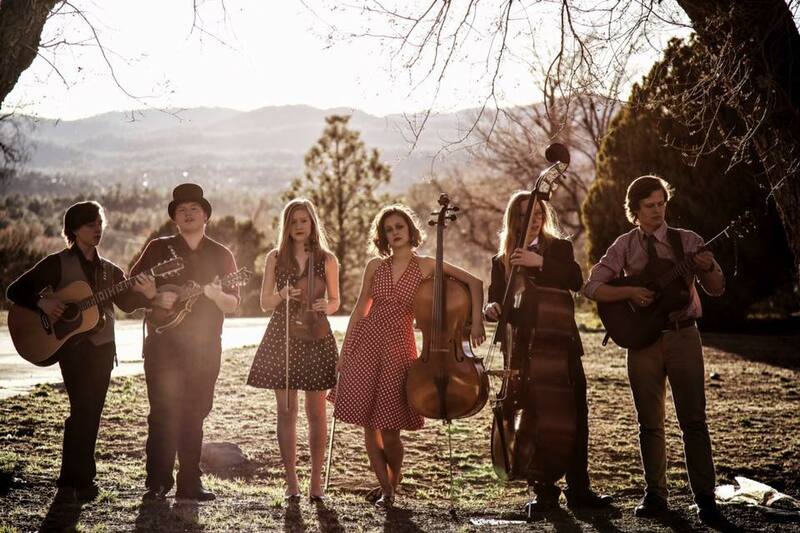 Sugar & the Mint’s other First Place honors include 2016 Pickin’ in the Pines Acoustic Music Festival in Flagstaff, Arizona and 2016 Wickenberg Arizona Bluegrass Festival Gospel Contest. In the past year, the band has played at the Ogden Music Festival (UT), Prescott Bluegrass Festival (Prescott, AZ), Pickin’in the Pines (Flagstaff, AZ), the Agri-Country Bluegrass Festival (Casa Grande, AZ), and the Tres Rios Festival in the Phoenix area. Learn more about these 2018 Ridgway RiverFest headliners and hear their music at sugarandthemint.com .